The Goat Girls will Clear Your Yard! As a frequent visitor to the "Dog Park" here in Northampton (the land which is leased by Smith Voc where many local dog owners currently take their dogs for off leash walks), I was tickled by the presence of The Goat Girls of Amherst, MA at the park, earlier this summer. The goats were contained within a well marked electric fence, and within a short time frame, they had munched away a large area of unwanted shrubs, vines and weeds. It was fun to see the adorable animals on our walks (though I confess, my dog did receive a shock while trying to get a sniff of the industrious animals), and I was amazed to see that they worked so quickly and did such a great job! I was equally tickled to see the following article today in the Daily Hampshire Gazette about the same Goat Girls. Round up not needed! These goats do a great job of clearing yards, leaving behind a great looking finished product! If you have land which needs to be cleared, look them up! Autumn the goat is working hard to devour a tangle of weeds that have overgrown on the border of a backyard in Amherst. Her ears flop back as she munches on some poison ivy, leaves dangling from her mouth. After four days of non-stop nibbling, with the help of five other goats, she is just about done clearing the yard of invasive plants like bittersweet and Virginia creeper. 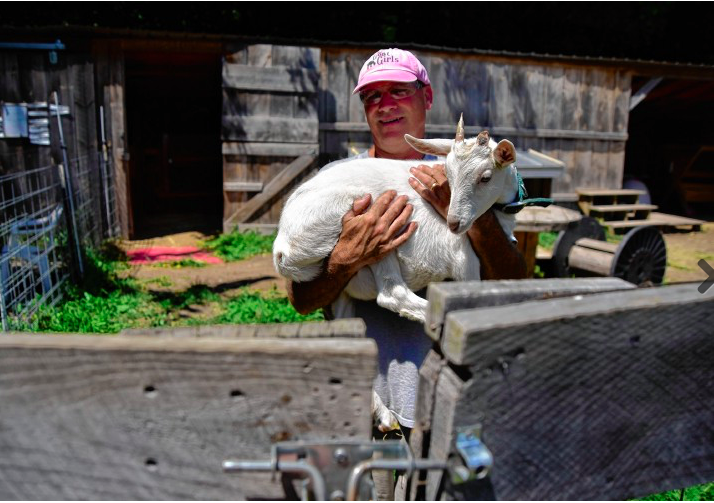 “The goats are diligent, hardworking —They don’t know that they are working, but they are,” said Peter Vickery, the property owner on Cherry Lane. After years of wondering what to do about the undergrowth that had overtaken the yard, his wife, Meg Vickery, decided to choose an environmentally friendly alternative to herbicide and a quieter choice than a weed whacker. They hired Goat Girls, a company harnessing the eating power of goats in what is essentially a land-clearing and lawn-mowing service based in Amherst. For a minimum of $500, the company will deliver a herd of goats to properties in any of several Hampshire and Franklin County towns to devour just about any foliage. Before the goats are sent out, the land is inspected for plants that might be poisonous to the animals, but for the most part, these creatures have guts made of steel, able to munch through almost anything, said Hope Crolius, owner of the company. “We say we are just going to let the kids play in the backyard with the poison ivy,” Vickery said. Before the goats go to work, Crolius’s one full-time employee, goat herder Joe Wille, sets up a temporary electric fence to keep the goats in and the coyotes and bears out. Homeowners are asked to check on the goats twice a day to look for signs of illness and make sure the animals look bright, alert and responsive. Sometimes they need fresh water, but the thick weeds provide them with all the food they need. The company’s more than two-dozen goats have exceptionally diverse diets, they specialize in invasive plants, typically munching through more than 25 jobs per year ranging from golf courses to community gardens. This year the goats also devoured more than 250 Christmas trees dropped off by local residents at the Goat Girls headquarters, a rented plot of land at Many Hands Farm on Pelham Road in Amherst, where the goats spend most of their time when they aren’t working. “They’re economical, they’re earth-friendly, plus they are the neighborhood entertainment,” said another homeowner Sue Ellen Bisgaard. She hired the Goat Girls a few weeks ago to clear the wooded land at her house in Pelham, where about eight goats gnawed through two acres of brush in only two weeks. Before the goats showed up, the weeds were so overgrown that Bisgaard couldn’t fathom walking through the property. She didn’t know what the plants were, she just knew she wanted them gone. “It really is just fighting the woods from taking over my land — I have eight acres,” she said. Not only are the goats pleasant company, in this case their services came at a decent price, she said. Bisgaard’s landscaper gave her a quote of about $1,000 to clear the property, while the goats provided the same service for half the price. Depending on the size of the job, the number of goats needed varies. Six animals were used to clear the roughly 300 feet of land in the Vickery backyard. Seven goats can clear a quarter acre in about a week, said Crolius. So far there have been no complaints about the productivity of the animals, she said. Before starting the business in 2011, Crolius had worked in a high-pressure job as a journalist, often fantacizing about being a shepherd in biblical times. “You’re working with nature to manage land. The goats are part of nature,” said Crolius. Many of her clients live in neighborhoods that are not zoned for livestock and love having the chance to spend time with the animals, she said. Crolius, who started with three goats, has every kind of goat from Nigerian Dwarfs, a miniature dairy goat with West African ancestry, to Saanens, a Swiss dairy goat. She isn’t selective about breed because all goats tend to eat at the same rate. Within a few weeks of acquiring her first herd, Crolious said, the phone started ringing with requests for jobs and the company has kept growing since. While abroad in England, she said, she started to think about the concept of goat lawn maintenance, where the animals can be seen grazing beside highways. When she returned to the United States she noticed the invasive plants overtaking her yard, did some research and found Goat Girls. She’s happy not to have to dump weed killer on her property. While the Vickerys were worried that the goats would make noise at night, they have barely made a peep. They are mild mannered and they keep to themselves, said Peter Vickery. Since the goats got to work, the couple rediscovered property lines and found a few soccer balls and an animal skull. A few trees were also saved from strangulation by invasive vines. They are looking forward to planting flowers on some of the re-claimed land. “I am surprised because it is so much more open. We can see what trees we want to preserve and which mangy ones we want to get rid of,” said Peter Vickery. As he talks, a short distance away the Swiss dairy goat Muffin is sunbathing in the brush, chewing on a few twigs, the remains of the fourth and final day on the job for her and the rest of the crew. For more information about Goat Girls, visit http://www.thegoatgirls.com or call 461-6832. As my backyard emerges from the mud and muck left over from a mild Northampton MA winter, I am reminded that it is probably time to start pruning some of the plants we planted last year in our small yard. 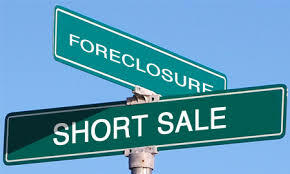 As both a realtor and wannabe gardener, this tends to be a tricky time of year for me as the spring buying and selling market takes off AND my yard and garden need attention. I have to be strategic about caring for my plants on their timeline, and not putting that project on the back burner. Fruit trees, flowering shrubs, and other perennials have specific needs for when to prune, mulch, fertilze, etc. Thankfully, a quick google search tends to turn up helpful information about the what, when, where and how of plant care. 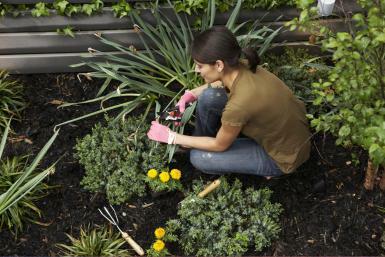 The following article from gardening.about.com has a wealth of important information for you fledgling gardeners! Spring has sprung! (This article is a re-post from gardening.about.com, click on the link for the full article). Most plants benefit from some sort of regular pruning and maintenance. The trick is in know when to prune what. A great many flowering and fruiting plants prefer to be pruned while they are dormant, in late winter through early spring. Some, like spring blooming trees and shrubs, will start setting new buds as soon as the old buds have fallen. These will need to be pruned shortly after flowering, or you risk pruning off the new buds with the old. 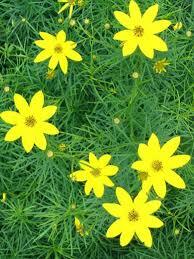 And still other plants need to be continually pruned and deadheaded, to remain vigorous and in flower. It's confusing, but rarely fatal. Pruning at the wrong time of year may result in less flowers and fruits, but it usually won't harm the plant in the long run. The exception to this is pruning too late in the season and encouraging a lot of tender, new growth that will be killed back with the onset of winter weather. To help you take the guess work out of pruning, here is a series of articles to help you learn when to prune the plants in your garden. What ever plants you have, the first thing you need to consider is the best tool for the job. Sharp, clean tools not only make the job of pruning plants easier, they are crucial to keeping your plants healthy. The four basic tools required for pruning most plants are: hand pruners, loppers, shearers and saws. Here's a breakdown of which pruning tools are appropriate for your pruning tasks. Perhaps the most confusing group of plants, when it comes to pruning times, is flowering trees and shrubs. A general rule of thumb is to prune summer and fall flowering trees and shrubs in the dormant season (late winter / early spring) and to prune spring flowering trees and shrubs soon after their flowers fade. The confusion comes with plants like hydrangeas, roses and clematis; some of these flower in spring, some in summer or fall, some flower repeatedly. Here are some guidelines for figuring out when your particular variety is best pruned. Most fruiting plants need to be pruned while they are dormant. You usually get one chance to set buds for next season's crop, so particular care is taken with fruit trees and berry plants. Most flowering plants grown for their ornamental value will still give you some sort of show, even if you've been lax about regular pruning. Fruit trees and berries will steadily decline unless they are pruned and tended. There are several reasons for this, including: suckers that direct energy away from fruiting branches, older branches susceptibility to diseases and pests and the habit of many fruiting plants to only produce on branches of a certain age. So if you are growing tree fruits or berries to harvest, pruning them should be given high priority. Gardeners don't often think about pruning evergreen trees, which is probably a good thing. Evergreen trees don't need to be pruned. It is not recommended that you use pruning to keep an evergreen tree's size in check. You will just stress and distort the tree by doing that. Better to choose a smaller, dwarf evergreen than trying to size down a large tree. However, there are times when you want an evergreen in your landscape to be a bit fuller and that can be accomplished with some well timed pruning. Keep in mind, the larger the tree, the more labor intensive this type of pruning will be, so do this while the tree is young. Perhaps the most labor intensive plants to prune are the non-woody perennials. The notion that you can plant perennials once and then have a maintenance-free garden forever is an incorrect notion. Most perennial plants, especially the flowering ones, not only need to be cut back entirely at some point before or after the growing season, they need regular pruning, shearing or deadheading. Which plants to prune when and how much to prune them is something you learn as you acquire experience gardening. It's part of the pleasure of gardening for most gardeners and it's the type of knowledge that varies from region to region. When and how to prune perennial plants probably makes up more garden chat than any other topic. The articles here will hopefully get you talking. While things seem to be going well enough outside - our houseplants did not survive the first year in our new home. I decided it was time to take the same tactic with the few new houseplants we have acquired in that time, and read up about how to care for them! Brilliant you say? Well, we shall see. But I came across this article in the Daily Hampshire Gazette about caring for houseplants in winter and decided that I should share it here. Winter is a hard time for house plants. Dry heat robs them of needed humidity, and there’s less natural light. A basic understanding of what plants do in winter makes it easier to keep them healthy throughout the winter months. Think hibernation. The leading cause of house plant death — especially in winter — is over-watering! As summer wanes, plants receive less sunlight and naturally slow their growth. Plants that are not actively producing new growth need less water. Keep in mind that plants that live outdoors in summer need less water when they come inside because they’re not exposed to wind. Test your potted plants for dryness by sticking your finger into the soil. They only need water when the soil is dry an inch below the surface. When you water, water well, and then leave them alone till the soil is dry again. Over-watering creates root rot. If your plant is wilting, but the pot feels heavy, it may be suffering from root rot. Cut back on watering. If the plant doesn’t improve, gently take it out of the pot and check the roots for mushiness or dark patches. Cut these off, let the root ball dry out over night and then repot, making sure you put plenty of small stones or broken pot shards in the bottom to facilitate drainage. If you have plants that came in festive holiday wrappings, make sure the drainage holes at the bottom of the pot aren’t blocked. Poke around with your fingers till you can feel the holes and cut away the wrap with a sharp pair of scissors so the holes can drain. Put the plant on a plastic or other watertight tray to catch drainage. Fertilizer in winter is another no-no. In fact, fertilizer may harm plants. Unless you’re growing plants under lights to stimulate new growth, hold off on fertilizer until springtime growth begins. 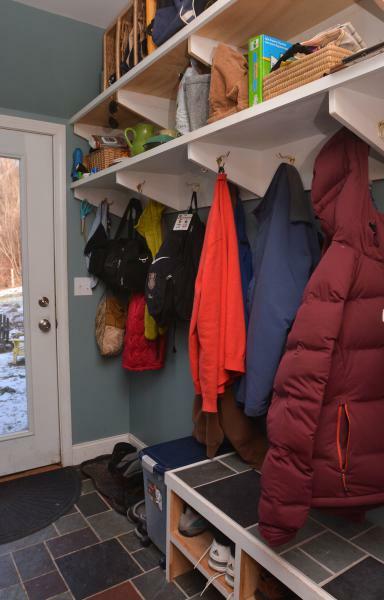 While plants suffer from too much watering in winter, they need ambient humidity for transpiration. Indoor heating systems create parched conditions for plants. Fortunately, there are several things you can do to create a moister environment. Run a humidifier if you can. This will not only keep your plants happier, it will create a more pleasant atmosphere for people. You can also place your plants on a watertight tray covered with small pebbles and water. Just make sure the water does not touch the pots. Alternatively you can place glasses or small jars filled with water amongst your plants. Keep in mind that the kitchen and bathroom tend to have the highest humidity in your house, so plants that enjoy high humidity, including tropical plants, should be placed in these areas if possible. Plants generate humidity, so it helps to group those plants together. And keep their foliage away from frosted windows. Most plants enjoy an occasional misting, but don’t mist plants with hairy leaves like African violets and gloxinias. They take a long time to dry and can develop moisture-related diseases. Indoor dust creates another hazard for houseplants, blocking light and moisture needed for photosynthesis transpiration. An occasional bath — once a month or so — helps plants thrive in winter. If possible, put plants in a bathtub or shower and use a spray bottle to wet the leaves. A kitchen sink sprayer is an option for smaller plants. The bathroom shower is generally too strong for most plants. You can add a few drops of dish washing liquid to a quart of water if your plants are really grimy. Be sure to rinse thoroughly with lukewarm water. Plants grow toward light. You may notice your plants getting tipsy. Rotate them once a week or so to keep their growth straight and balanced. One more thing on the subject of indoor plants: If you have plants in a commercial business space, make sure they look good. I mean, would you buy a used car from someone whose showroom is filled with dying plants? Distressed plants are a serious turn-off to customers and passersby. Get rid of these and replace them with new ones, perhaps ones better suited to their environment. FARMERS MARKETS: Farmers markets in Amherst and Northampton are wonderful places to savor the season’s pleasures and find some fresh local produce. Maple syrup and candies, apples, baked goods, and jams and jellies add some sweetness to take the chill off. Fresh greens and storage vegetables such as potatoes and squash are available, as well as local meat, fresh fish, eggs and herbal and natural skin care products to salve chapped, dry skin. There are also local artisans and crafts people every week. Amherst also features live music. The Amherst market is open from 10 a.m. to 2 p.m. every Saturday through April 2. (There is no market on Jan. 16 or March 5) at the Amherst Regional Middle School, 170 Chestnut St. The Northampton market is open from 9 a.m. to 2 p.m. every Saturday through April 30 at the Smith Vocational and Agricultural High School, 80 Locust St.
Garden Center Clinics: Hadley Garden Center has been an invaluable resource for Valley gardeners since it opened in 1963. It will be hosting an informative series of winter gardening clinics on Saturdays at 1 p.m. beginning Jan. 16. The first, Great Shrubs for Valley Gardens, promises to be a fun reminder that spring is not so far away. It’s easy to get lost among the hundreds of varieties of shrubs to choose from at local nurseries and garden centers. Tom Clark, curator of the Polly Hill Arboretum on Martha’s Vineyard and a former garden center employee, will make your selection a little easier this season as he discusses the shrubs that grow best in our area. Hadley Garden Center is located at 285 Russell St. (Route 9) in Hadley. Call 584-1423 for more information. No Need to Clear the Leaves! I have to say, when we moved from a 1/2 acre plot of land in downtown Northampton, MA to a 1/4 acre parcel in Florence, MA - I assumed we would have no more fall clean up to speak of. At our last house, we were practically knee deep in pine needles, carpeting the lawn and burrowing in between the shrubs and plant. The energy we expended on raking those needles was endless, and we never were able to get rid of all of them. Now we have fewer pine trees, but plenty of other varieties of deciduous trees which are shedding their beautiful leaves all over our tidy 1/4 acre lot. When I pull into or out of the driveway at the end of the day - I become fatigued just looking at the leaves and thinking about the work we still have yet to do. I was thrilled when someone shared the following link with me about a week ago. I had forgotten that leaves can be used to mulch the soil and increase nitrogen levels, making the soil richer. I don't need to be encouraged to "let nature complete its cycle" twice. Count me in for leaving the leaves where they land! In suburban and urban neighborhoods, this cycle is broken. Yard waste, such as grass clippings and fallen leaves, are largely removed in bags or sucked up into giant vacuum cleaners from roadside piles. Water that once percolated through soils, carrying nutrients to plant roots, is routed to drainage ditches and nearby streams and rivers. Meanwhile, residents fertilize lawns and gardens due to nitrogen deficiencies. Researchers at Boston University found that yard waste removal in the City of Boston eliminated 1/3 of the nitrogen needed by urban trees. Retaining yard waste could potentially reduce fertilizer demand in Boston suburbs by one-half. Overall, the city collected 8,000 tons of yard waste, carrying 64 tons of nitrogen offsite. Soon, neighborhoods across the Northeastern states will roar with the sound of leaf-blowers. 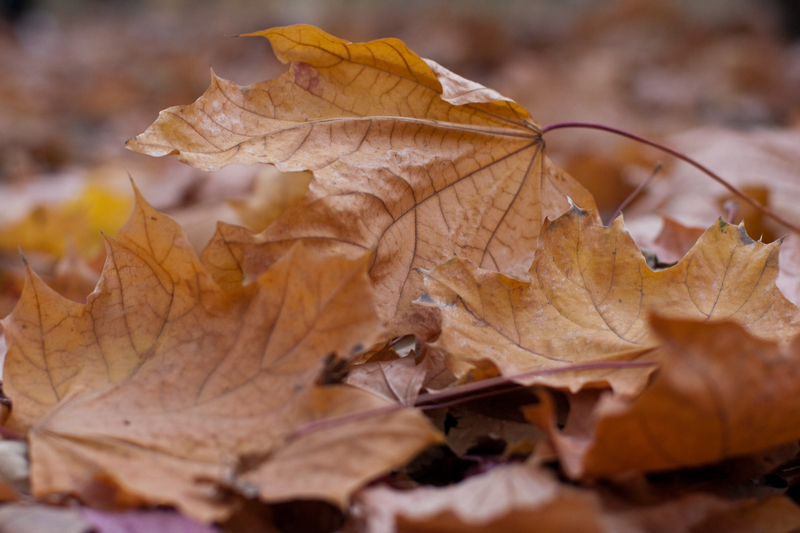 Here is a different suggestion: keep fallen leaves in your yard. They can be raked under shrubs to provide a layer of mulch. Rotary mowers grind fallen leaves, returning their nutrients to nourish your lawn in spring. We need to think of leaves as a resource, not a waste product. While it’s true that some municipalities collect leaves for compost, rather than landfill burial – think of the energy and tax dollars that could be saved by not picking up yard waste at all. If possible, let nature complete its cycle.